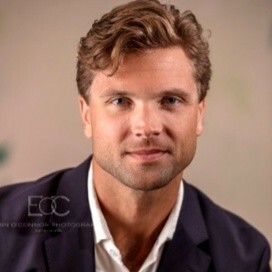 Founder and Managing Member of Austere Capital, Brian was previously Staff Economist at Digital Asset Research, part of the Commercial Real Estate Investment team at Monument International, and former Chair of the Economics Department at Suffolk County Community College on Long Island. Austere Capital is a Bitcoin Volatility Hedge Fund that describes itself as an Absolute Alpha Volatility Fund. Austere Capital takes advantage of Bitcoin's Implied Volatility (IV) using options and futures, and runs several strategies simultaneously, combining different positions with various maturities. Brian competed as a D1 swimmer at SUNY Binghamton, where he received both his undergraduate and graduate degrees in Economics with a Finance specialization. Bran also got certifications from the Financial Industry Regulatory Authority (FINRA) including “Series 66 Investment Advisor Representative” and “General Securities Representative (series 7)”. Brian knows four languages including English, Polish, Italian and Russian and he is the author of Swim Fast Now - a short e-book on advanced swimming techniques, and the translator, from Polish to English, of Wojtek Spod Monte Cassino - a story of a bear in the ranks of the Polish Second Corps during the Second World War.